Web Hosting In Europe. Fast, Secure and Reliable? European web hosting servers and 24/7 team of experts deliver breakthrough performance web hosting in Europe that grows with you. With industry-standard cPanel WHM control panels, 24/7/365 free support on the phone or online, 99.9% uptime and money-back guarantees. With our Award-winning security and revolutionary new CloudLinux servers we keep your site safe, you’ll know your site is always up and running. Our one-click Softaculous install process has all your Web hosting app needs covered, making it easy to build, enhance and manage your site. Need a content management system (CMS) for your Website? Joomla and Drupal are just a click away. Maybe you want to sell products on your website. Try Magneto or Prestashop with one-click install. Fastest page load times using cPanel for Linux. High-performance servers for fastest load times. This is what makes our service special – We do it ourselves. With us you always reach trained experts that can really help you. And your personal contacts will stay with you for the duration of your project. We treat our Clients as Friends. Your satisfaction is our motivation. Start with what you need and move to more powerful options as your website grows. Our custom technology makes it easy to upgrade your account to bigger plan or VPS in just a click. 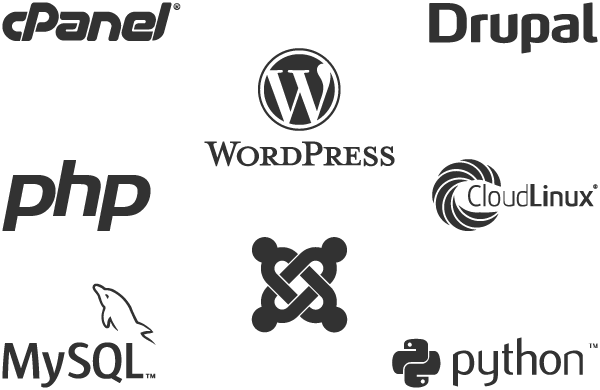 Our cPanel CloudLinux Web Hosting packages are the perfect low-cost choice for your internet projects, whether private or business. Because our Web Hosting packages contain simply everything you might need to run your website, your blog or forums and many more applications. Included are many professional features, scripts and free web applications. No administration knowledge is required – your WebHosting package can simply be managed via your web browser. And when your business grows, you can simply change to a bigger package. Your data move automatically within our european web hosting servers. Our in-house experts are standing by 24/7 to not only solve technical issues, but to give you the advice and guidance you need. Just open a support ticket at anytime. Already have a website? We can seamlessly transfer everything to your new account. Save your time and energy, you can use these services for your new hosting. We offer an unconditional Money Back Guarantee and an Uptime Guarantee for every hosting we offer. You can cancel at any time within 30 days for a full refund. cPanel & WHM is an easy-to-use but professional control panel that gives the website owners the ability to quickly and easily manage their hosts and websites.